The mission of the Buffalo Rugby Club is to cultivate, promote and present the global game of rugby throughout the Buffalo and western New York community. The club will strive for the highest sustainable standard of play by engaging in the development of players and participants at all levels. The club is committed to fostering sportsmanship, camaraderie, and community service through all its endeavors. In addition to fielding two competitive rugby sides, the Buffalo Rugby Club is involved in organizing numerous youth clinics throughout the area. Club members are also active in assisting or coaching much local youth, high schools and colleges rugby programs. The Club also is involved with Habitat for Humanity and annually volunteers for rehabilitation work. 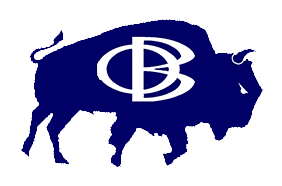 The Buffalo Rugby Club has an annual operating budget of about $50,000. Because of the success of the Club, there are significant travel requirements to participate in tournaments and games necessitating the size of this budget.